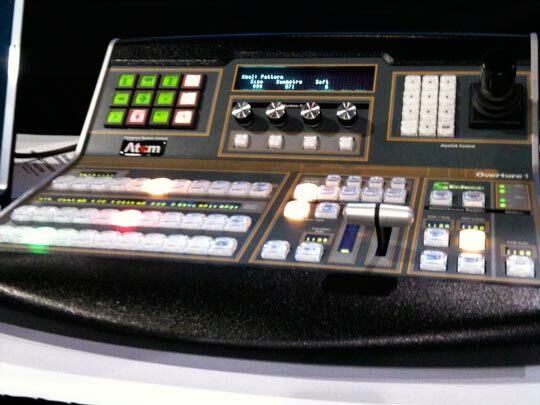 Echolab ATEM Switcher, RIPMay 20th was a sad day, as we are now learning. Echolab, maker of what I thought to be the very best small video switcher, the ATEM, has closed it's doors and is in liquidation. Echolab had transferred sales of the ATEM to Harris, but apparently the money man behind the deal didn't see it as a good continued investment. Here's a letter Echolab president, Nigel Spratling, who is a heck of a nice guy, sent to suppliers last week. Dear all,It is with much sadness that I have to tell you that yesterday (May 19th) Echolab was put into liquidation. Our primary investor who had negotiated the recent agreement with Harris had decided that he was no longer prepared to fund the company through the transition. I am truly sorry that this action leaves many unemployed, suppliers with unpaid bills and customers with unsupported products. The recent introduction of and expanded Atem switcher family look set to take us into growth and profit as the market reception was excellent and our sales funnel was sized at $2M as a result. I truly believe that our small team had created the very best of breed in small and medium sized production switchers and at a price point that provided exceptional value with good margins, facing the loss of these efforts is difficult for everyone involved. The liquidation company will be trying to sell the companies assets and product IP and inventory in order to pay creditors over the next few weeks. Hopefully they will be successful in their efforts.